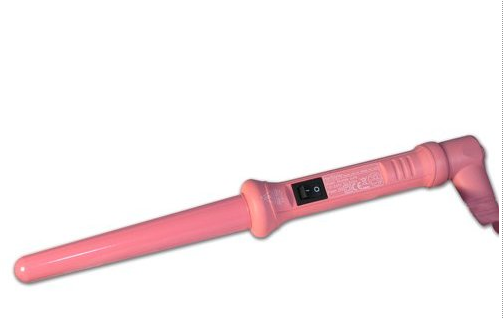 1" curling iron anyway maybe I'll get one of these. Vica, let me know if you want to play with my new tool - better than a new leaf blower. You're welcome to try mine before you buy. Thanks for the compliment, but honestly, my hair is a big frizzy mess most of the time due to the thickness and curls. I'd trade it for yours any day :) I can't even get highlights because they make it even more dry and frizzy, so I stick with the same boring monotone color! Maybe it's an Atlanta thing... In this week's Housewives of Atlanta, one of the ladies gets her hair curled with a curling rod. The result is gorgeous! I google searched "curling rods" and came across your review of your recent purchase. Now after seeing the show and reading a real person's experience, I think that I'm ready for a little pre-Christmas self-gift too! Thanks! Natty, glad this could be helpful! Let us know what you think about the product after you get it!